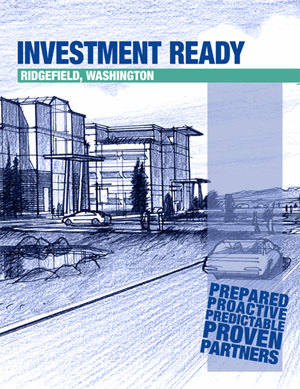 Boards and Commissions - The City of Ridgefield, Washington | Forward Thinking. Rooted in Tradition. To view the calendar of all City Council, Boards and Commission meetings, click here. Access Meeting Minutes and Agenda here. If you would like to access past years minutes and agenda’s and cannot access them online please fill out a Public Records Request Form. Access Information about the current council members here. The Planning Commission is comprised of seven volunteer citizens who advise the City Council on planning, development, and growth issues for the community. The Commission reviews and makes recommendations to the City Council on updates to the City’s Comprehensive Plan and Capital Facilities Plans, Development Code regulations, shoreline management regulations, environmental protection regulations, general developmental policy, and other matters as directed by the City Council. The Commission does not conduct quasi-judicial hearings on land use applications; the City uses a Hearing Examiner to review such proposals. Planning Commission meetings are held at 6:30 p.m. on the first Wednesday of each month at the Ridgefield Administrative & Civic Center, located at 510-B Pioneer Street. If you have questions about the Planning Commission please contact Staff support. Access Meeting Minutes and Agenda here. If you would like to access past years minutes and agendas and cannot access them online please fill out a Public Records Request Form. The Civil Service Commission is comprised of three volunteer citizens who preside over the manner in which police officer candidate examinations are held as well as how appointments and promotions are made. The Commission is also responsible for hearing complaints, conducting investigations and hearings, and determining appeals regarding police officers and other matters connected with personnel administration of the Police Department. Commissioners must be citizens of the United States, must have been residents of the City of Ridgefield for at least three years, and must be eligible to vote in Clark County. Civil Service Commission meetings are held at 6:30 p.m. on the second Tuesday of each month. Meetings are held at Ridgefield City Hall located at 230 Pioneer Street and are open to the public. Parks Board meetings are held at 6:30 p.m. on the second Wednesday of each month at the Ridgefield Administrative & Civic Center, located at 510-B Pioneer Street. The public is welcome and encouraged to attend and participate in the Parks Advisory Board meetings. The Ridgefield Salary Commission was created on April 24, 2014, as a five-member independent body with the authority to set the salary of the members of the Council. An independent salary commission studies the relationship of the Ridgefield City Council members’ duties and salaries to Council members in comparable City jurisdictions and fixes salaries based on that comparison as well as the City’s budget and other market conditions. The Commission meets as often as necessary each year, with a first meeting no later than March 31 and actively solicits public comment for consideration when making a salary determination. The Commission files a salary schedule with the city clerk on or before May 31 which is published in the same manner as a city ordinance. The salary schedule is then incorporated into the city budget without further action of the city council. Citizens are encouraged to attend and participate in the City Council, Board and Commission meetings. Public participation is vital and plays an important role in shaping decisions and the future of the Ridgefield community. Every meeting includes an opportunity for citizens to speak on City issues.